There is something about hockey fans. Maybe it’s the media demotion the NHL suffered at the onset of the post-Gretzky. Or maybe it’s the fact that one player is allowed — encouraged? — to punch another player in the face. 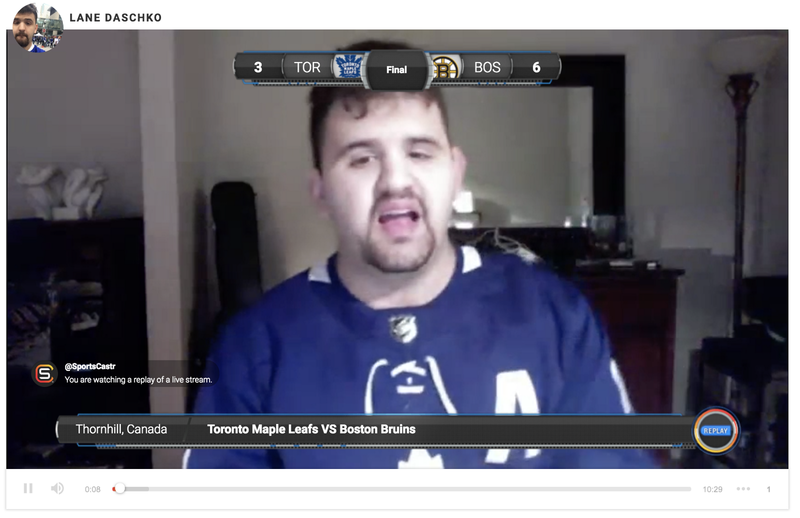 But whatever the reason, hockey fans have flocked to SportsCastr. “Your boy, Lane Daschko” is one of the newest members of the SportsCastr family. His love for and knowledge of his hometown Maple Leafs make Lane’s broadcasts the perfect destination for Toronto faithful to be equally entertained and informed. 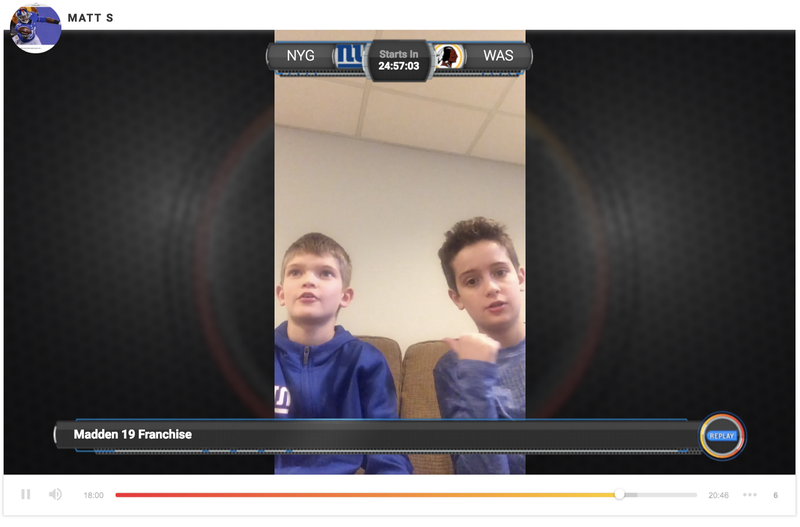 Mr Red Zone and his partner in crime, Collins, are two of the youngest members of the SportsCastr family. We don’t know what they’re putting in the Cheerios these days — do kids still eat Cheerios? — but these two characters are encyclopedias of NFL stats and info. They are what SportsCastr is all about! SportsCastr. Choose the SportsCastr. Be the SportsCastr.